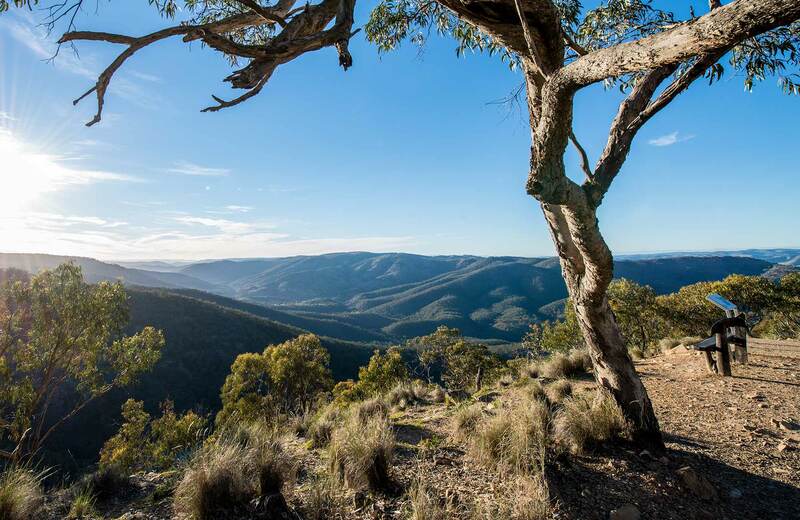 Also known as 'Merlin’s lookout', Beaufoy Merlin lookout is a great spot to look out over the area once known as "the richest quarter mile in the world". 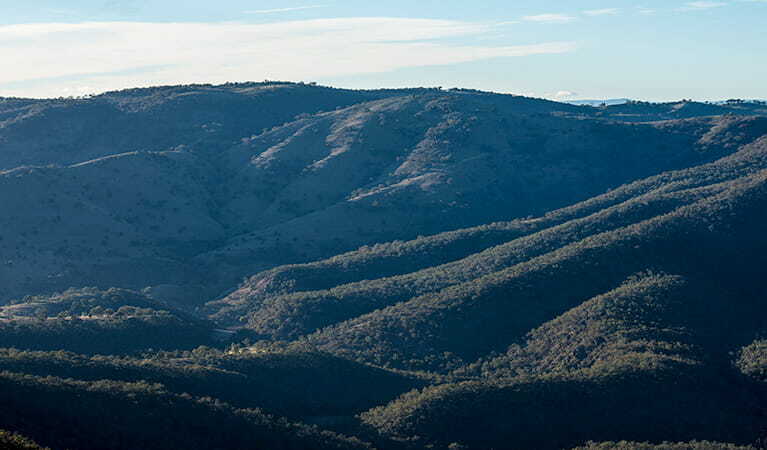 It’s only a short drive from town or an easy walk along the road if you add it to your Hill End village tour or Bald Hill walking track. 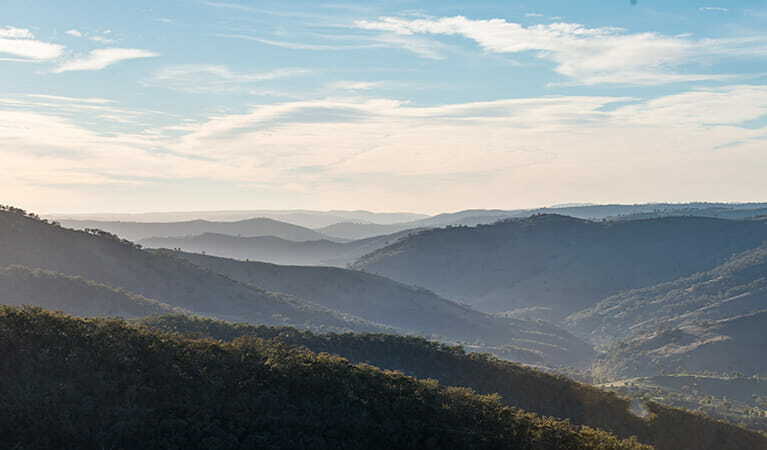 Overlooking Hawkins Hill, it’s an excellent vantage point to take in the true scale of mining that took place here. A display shows how it may have looked during the mining heyday to spark your imagination. The views are spectacular, especially at sunrise and sunset when the sky is filled with vibrant colours. On winter mornings, you’ll often see fog blanketing the valley, creating outstanding photography opportunities. 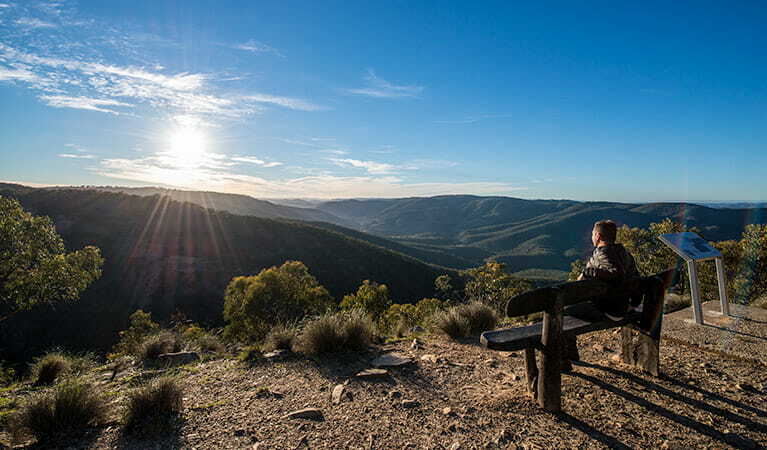 But any time of day, it’s a peaceful spot for a quiet cuppa or a picnic with beautiful views across Turon Valley.